I want to show you a Happy Birthday card for a special little boy that turned 5 years just a few days ago. 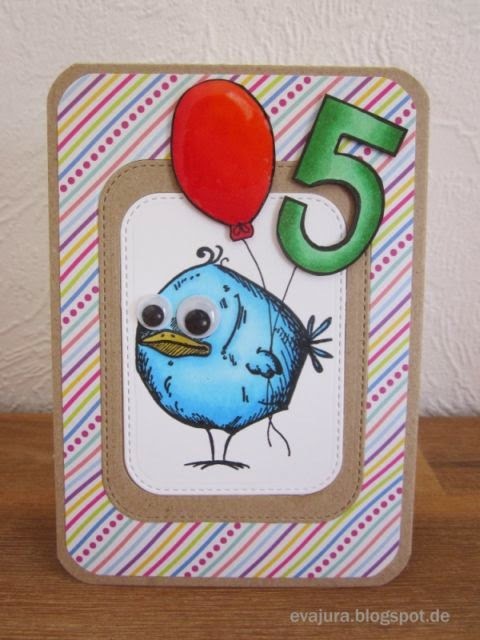 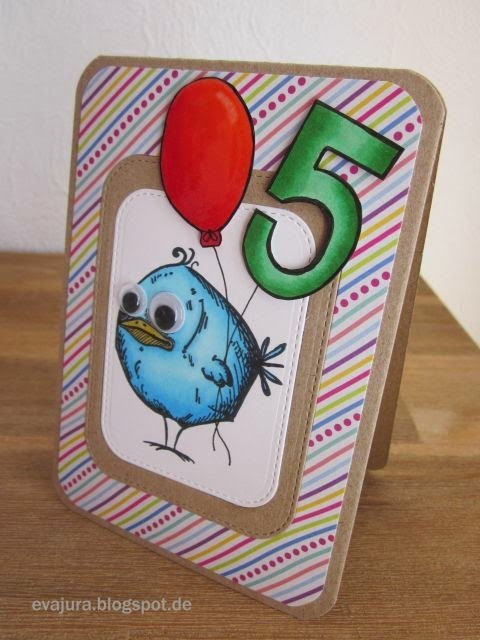 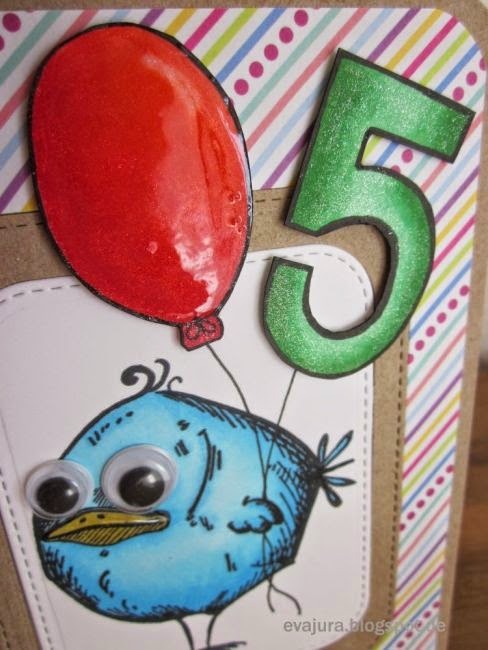 To create this Birthday card, I used the Tim Holtz Crazy Birds stamp set. 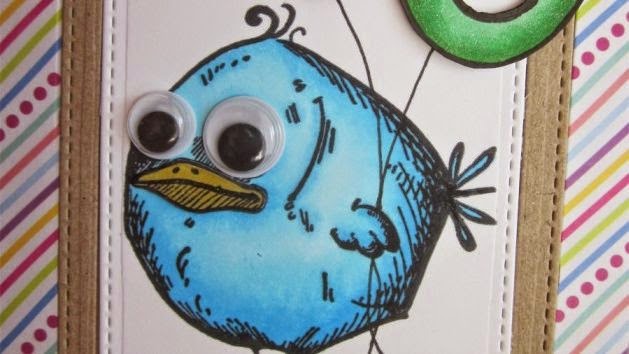 Isn't that bird adorable?